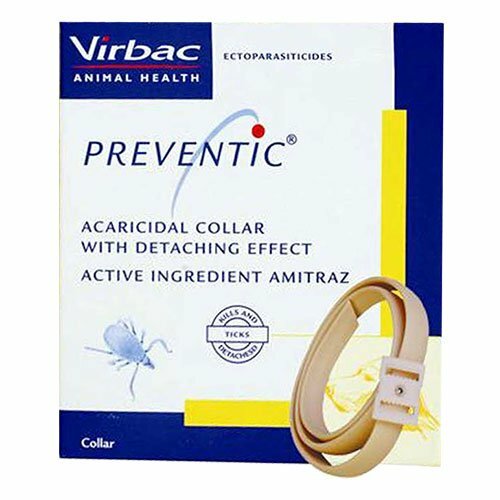 Manufactured by Virbac, Preventic tick collar is an easy to avail tick treatment for 8 weeks and older puppies and dogs. It gives a long lasting protection and remains effective for two months. Within a timeframe of 48 hours, it kills all the existing ticks and prevents new ticks from getting attached to the dog’s body. With Amitraz as an active ingredient, the collar kills major kinds of ticks including Deer ticks, American dog ticks, Lone star ticks and brown dog ticks. Preventic Tick collar is especially formulated to remove ticks found on puppies and dogs. 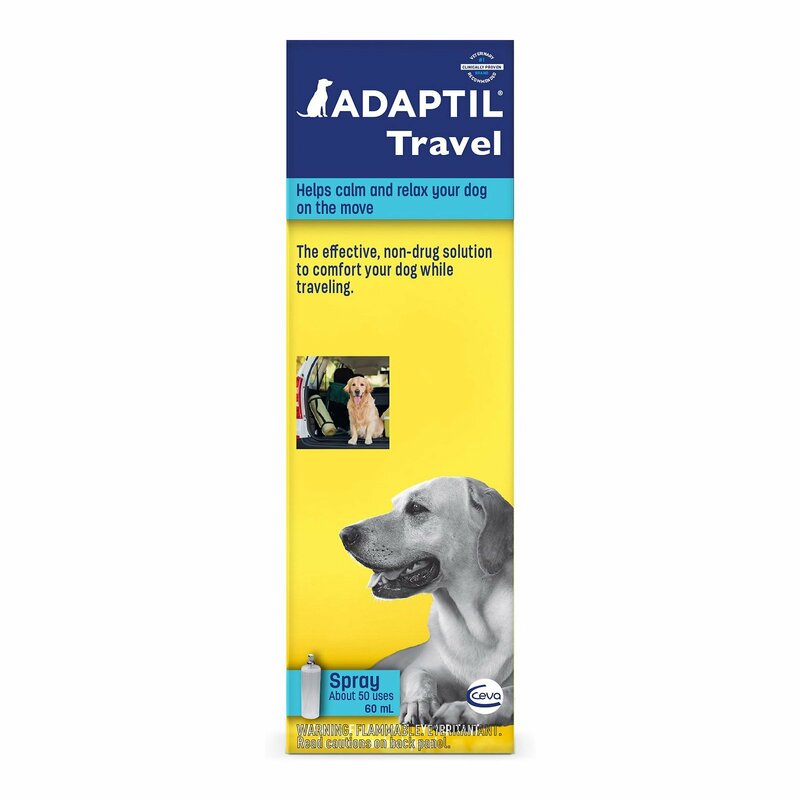 It protects dogs against ticks for 60 days and prevents tick infestation. An odorless, waterproof collar kills ticks within 48 hours and lasts for a span of two months. Available in two sizes, the collar is suitable for all breeds and sizes of dogs. 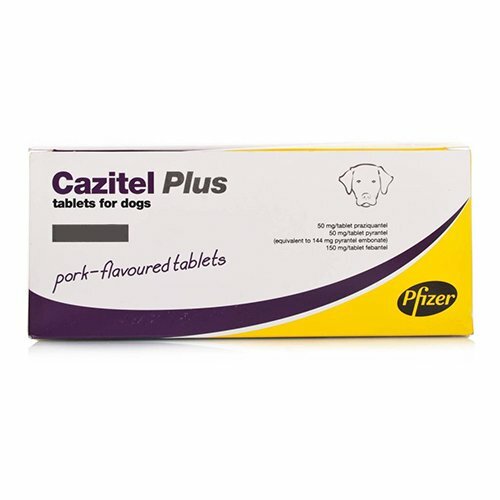 It is suitable for 12 weeks and older puppies and dogs. Step1: Open the pack and roll the collar around the pet’s neck. Step2: Buckle up in a manner that there is a space of two fingers between the collar and the pet’s neck. Step3: Cut the extra portion and dispose immediately. Change after two months. Remove the collar when your pet goes swimming or gets bathed. Consult a veterinarian before using the collar on sick, debilitated and recovering pets. Do not let the pet chew the collar. Refrain children from playing with the collar. After buckling up the collar, trim the extra part and dispose it. Keep the packing away from children and foodstuff. Do not open the packing until the collar is ready to be used. Keep away from heat and inflammable items. The ingredient amitraz is an antiparasitic drug. 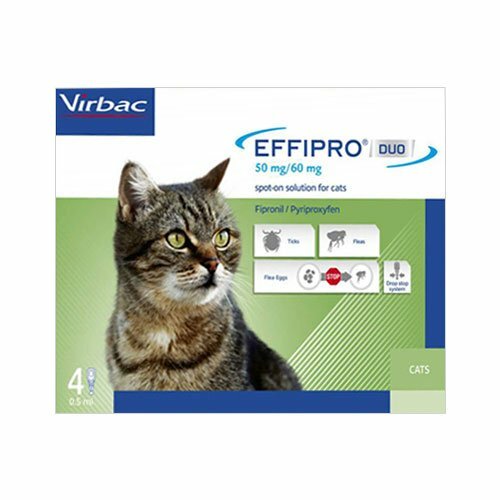 It rapidly paralyzes the ticks mouth parts before killing the tick, preventing attachment of the tick and preventing the transmission of disease. On animals, it is used to control ticks, mites, lice, and other animal pests. It works to kill Deer Ticks, which can be found mainly in the North and South East regions, the Brown Dog Tick, located across the entire U.S., the Lone Star Tick, located in the Southern U.S. and the American Dog Tick, which can be found mostly in the Midwest and North and South East regions. Length of the collar is 60cm(24") which fits all sizes of dogs. 130 of 214 found this review helpful. 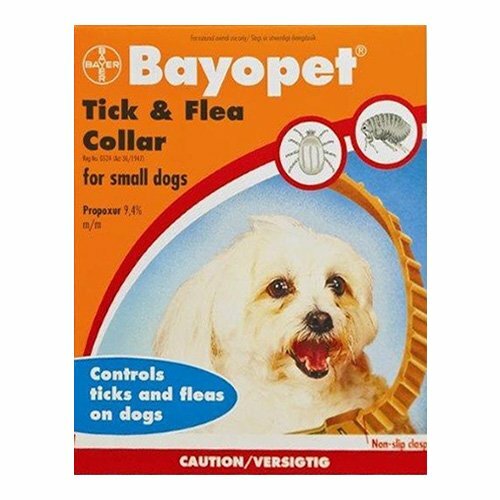 Swear by this product my dogs never had a tick..tried flea snd tick products and went back to preventic collar!! 300 of 329 found this review helpful. Works pretty well on my doggie!! I have a small dog residing in a tick-prone area. But after putting this collar my pooch is well protected from these pesky parasites. Thank you BudgetPetCare!! 422 of 446 found this review helpful.